Maybe you've always preferred pie to cake. Maybe you like tiny things. Maybe you feel, in your gut, that the cupcake's so last year. Well now it's time to preheat your ovens, fill your cupcake tins with mini pies, and aim your cameras at the delicious results. If you're not with us, you don't get any mini pie. Bake a mini pie from scratch. Mini pies should be baked in a cupcake or muffin tins, but we'll let you get away with other pans if the resulting pies remain miniature. Just how small are mini pies? Aim for mini cupcake or cupcake-sized pies. No mini pie should serve more than one person. 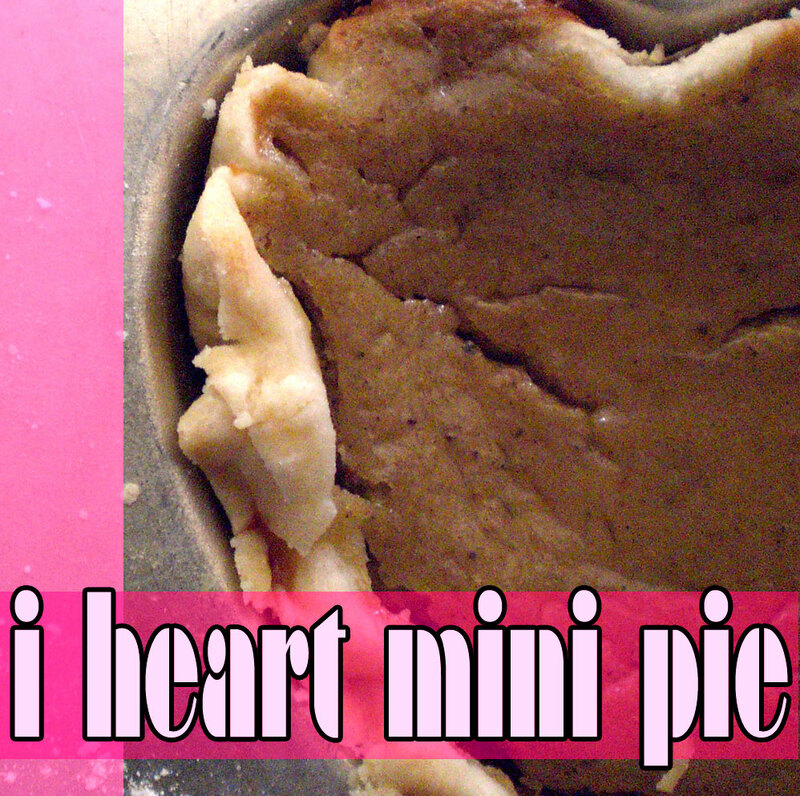 Still, we're no size-ists here at The Mini Pie Revolution HQ. We're not going to pull out tape measures. We prefer that you use legal ingredients, as clever as "pot" pies might sound. So no endangered animals or mind-enhacing drugs, people! Your mini pies can be sweet or savory, single-crusted, double-crusted, open-faced, baby-faced or ugly-faced. We only ask that the pie has some sort of crust (pastry pie dough, as in apple pie) or other topping (mashed potatoes on shepherd's pie, cornbread crust on Mexican pot pie, etc.). No completely naked pies, as that is indecent and illegal we'd have to call the pie authorities. Really, the sky's the mini pie limit. Have you always wanted to make sushi pie? Here's your chance! Eggplant custard pies? We won't say "no." Do you want to miniaturize your favorite tried-and-true gooseberry pie recipe? Go ahead! Simply put, your mini pie can be anything and everything you want to bake. 5) Make sure your e-mail's subject head is "The Mini Pie Revolution"
Please send us your entry by Midnight EST on December 25, and we will post the results by January 1, 2008. Let's make 2008 the year of mini pies! The winning mini pie baker will be chosen by Ann and Karyn and will receive a fabulous prize. So get baking! 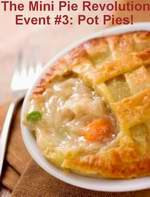 Feel free to use the Mini Pie Revolution Logo in our sidebar on your post or on your blog. Have you thought about submitting this event to Is My Blog Burning? This is a hilarious post! It's also a great idea, and I'm going to put together a *mini* blog just to put up a post and participate. Thanks Adele... we did. It just took a while to make it happen. :-) We're also up at Sticky Date. Can't wait to see the mini pies! Love the blog! I think you're really on to something here. I never liked cupcakes! Hi Ann...first time here & LOVE it! Manggy sent me here after reading my choclate tartlets post. Wish I'd got here in time for the round-up...:0(!! I've got a couple of mini thingies posted there. When's the next event? Yeah! An update! I spent all day yesterday baking mini-pies and will do the same today. It's so fun! Mine aren't as gourmet as the ones here but not bad. I'm using my pasta machine to flatten the pie crust to a very thin consistentcy (I don't love the crust) and using the noodle cutters to make my lattice strips. You have found the Mini Pie Revolution Headquarters, home to the Cupcake Resistance! We, the Mini Pie Revolutionaries, swear to liberate the world from the cupcake oppressors. We will take the world's cupcake pans and use them to create mini pies, the perfect, single-serving treats Hostess, Little Debbie, and Magnolia Bakery don't want you to know about. To learn more about Mini Pies, check out Karyn's Original Mini Pie! Post. To learn more about the Revolution, read The Mini Pie Manifesto. If you're not sure how to start fighting back, check out our pie crust recipes. And here are some great ideas and techniques by the amazing Not Martha, who was doing this a year ago already! The Herald Tribune reports on the Mini Pie Revolution! American Pie (Movie): Keep Jason Biggs away from your mini pies. King of the Hill (TV Show): "You had me at fruit pies." 'Nuff said. Pushing Daisies (TV Show): Ned raises the dead and bakes pies, some miniature. Sweeney Todd (Movie): Johnny Depp always looks yummy, but I'd pass on the pie in this Tim Burton musical. Waitress (Movie): Pies steal the screen in this homebaked romantic dramedy. How do we love mini pies? Let us count the ways . . .